What is cannabis oil for, what is CBD and THC and what is medicinal cannabis? We only receive pieces of information and never get the whole picture. CBD has proved medicinal properties. Medicinal cannabis contains both compounds CBD and THC. Cannabis oil also contains both compounds. Hemp oil contains CBD only, in small quantities. CBD oil contains only CBD, is not psychoactive and has medicinal effects. 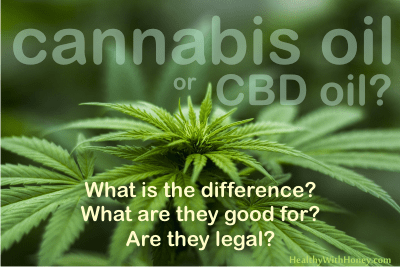 This article tries to answer questions like: what is CBD good for, what is cannabis oil for, what drugs are available on the market, in what countries is cbd oil legal, how to take it and what to expect and many others. Aka Cannabis Sativa, Weed, Medical Marijuana, Marihuana, dope, ganja, hashish – in some way everybody has heard of it. There are people who heard of it only from warnings and underground rumors about the Big Leaders of the world who restrain people from taking advantages of its incredible medicinal use, by calling it “a controlled substance” with dangerous psychoactive effects. Under federal law, this product cannot be marketed. Yet, opposed to cocaine, heroine, alcohol or tobacco, nobody was reported to die of smoking joints or even got addicted to it. But things are not that simple. Cannabis is neither the most dangerous product, nor a panacea. Today, beyond using it as a common joint, the good, non-psychoactive components of cannabis can be extracted and safely used in medicine. Yes, I’m talking about what is called CBD. What is the composition of cannabis? The constituents of cannabis are called Cannabinoids, or phytocannabinoids, (over 70) and noncannabinoids. The 2 main components of cannabis are THC (psychoactive) and CBD (medicinal). What is CBD oil and what are CBD health benefits? CBD (Cannabidiol) is a major constituent of cannabis (aprox 40%) with no psychoactive effects and medicinal properties. 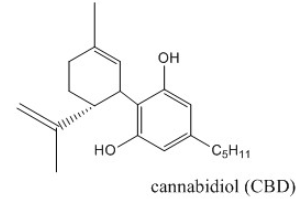 It includes cannabidolic acid (CBDA-C5), (-)-cannabidiol (CBD-C5) and its monomethyl ether, cannabidiol C4 (CBD-C4), cannabidivarinic acid (CBDVA-C3), (-)-cannabidivarin(CBDVA-C3), and cannabidiorcol (CBD-C1). CBD is a substance that doesn’t come from cannabis alone. It can also be extracted from industrial hemp, a cash crop that is largely legal to grow and sell. Hemp and cannabis are both variants of the same species and the difference between them comes from the THC percentage. Cannabis has simply been selectively bred over time to produce higher and higher amounts of the psychoactive cannabinoid THC. Industrial hemp typically features less than 0.3% THC and is therefore almost impossible to get high off. Yet, hemp usually features fairly high levels of CBD. Research showed CBD has analgesic, anti-inflammatory, antineoplastic and chemopreventive activities. (study). CBD is primarily looked into for epilepsy. In the USA, the drug Epidiolex was approved to treat rare childhood epilepsies: Lennox-Gastaut Syndrome and Dravel Syndrome. There is also an oral spray called Sativex, which is a combination of THC and CBD used to treat pain related to multiple sclerosis, but not approved in the United States. In addition to epilepsy, studies have shown that the use of CBD may assist in reducing anxiety and depression, and that CBD’s anti-inflammatory qualities may assist in the reduction of pain and inflammation. People are taking cbd oil of chronic pain and say they will never give up on it. In the UK, people use CBD oil supplements from helping promote sleep to boosting appetite and reducing stress, anxiety and depression. 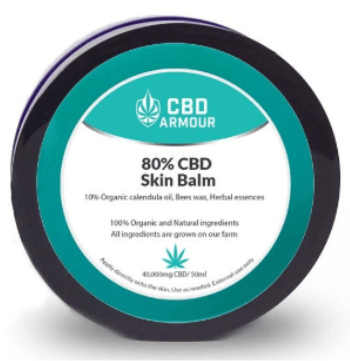 These days in the UK CBD is available in everything from skin creams to beers. Hemp-based health products, wellness drinks infused with CBD are everywhere. Directly, under the tongue, or infused by either the consumer or by a producer into topicals such as creams, moisturizers or even edibles like cookies, brownies, tacos; in juice or capsules.
! Because oils are slow-acting and long-lasting, it’s recommended that you start low, and go slow when experimenting with oils.
! Using oils under the tongue (holding it there for a minute to let them sink in) will provide the quickest effects, but most will still only kick in from 1-2 hours from the time you take it – and can last for as long as 6-10 hours in some cases.
! 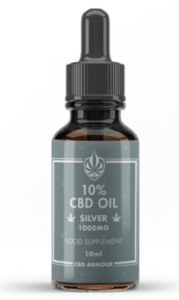 A standard dose of a CBD-rich oil begins at 10 mg. However, it’s also possible to microdose at 2.5 to 5 milligrams daily. For more severe conditions, a much higher dose may be needed – and some patients are known to go up to 1 gram per day. However, a daily gram of cannabis oil is a very large amount and the attention of a cannabis-savvy doctor is required.
! If you over-consume, ginger tea is a good way to ground your anxiety.
! Remember: cannabis oil should NOT be smoked or vaped and should not be used in that manner as it will change the compounds and potency of the cannabinoids. Prescriptions say that cannabidiol is POSSIBLY SAFE when taken by mouth or sprayed under the tongue appropriately. CBD in doses of up to 300 mg daily have been taken by mouth safely for up to 6 months. Higher doses of 1200-1500 mg daily have been taken by mouth safely for up to 4 weeks. Epidiolex is approved to be taken by mouth in doses of up to 10-20 mg/kg daily. Cannabidiol sprays that are applied under the tongue have been used in doses of 2.5 mg for up to 2 weeks. Safety studies of CBD showed it is well-tolerated, but may cause tiredness, diarrhea, or changes in appetite as common adverse effects. Epidiolex documentation lists sleepiness, insomnia and poor quality sleep, decreased appetite, diarrhea, and fatigue. Some reported side effects of CBD include dry mouth, low blood pressure, light headedness and drowsiness. Signs of liver injury have also been reported in some patients, but this is less common. What is cannabis oil (with THC) used for? Whole marijuana has also been traditionally used to treat inflammatory disorders. It’s a Traditional Chinese Medicine that was initially spread in part due to its medicinal properties but also for utilizing it for manufacturing. The World Drug Report from 2010 said that marijuana was the most widely used illicit substance in the world, yet, legally given as a medical treatment for various forms of cancer, AIDS/HIV, and neurological impairments either as therapy or as adjuvant (to increase appetite, food intake, and thus weight). THC, the substance with psychoactive properties, possesses acute benefits but is subject to rapid tolerance. CBD, the non-psychoactive component, may have chronic benefits and no psychoactive effect. Today, marijuana is used as an adjuvant cancer therapy, meaning it is used alongside other drugs that treat cancer. Medical marijuana use can alleviate pain and increase appetite. 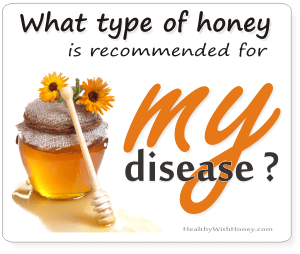 It is also being investigated for its effect on inflammation and chronic disorders like rheumatoid arthritis. In the US Dronabinol and Nabilone are both synthetic tetrahydrocannabinol (THC) drugs which the FDA has approved and are available on the pharmaceutical market, for the treatment of chemotherapy-induced nausea and vomiting (CINV) after the failure of a trial of first-line anti-emetics. Both drugs are also FDA approved to treat anorexia associated with AIDS. • The United Nations (including 193 states) does not mention CBD as a controlled substance in its treaty to control psychoactive drugs. • In the US cannabis is federally illegal, while industrial hemp is not. Therefore, CBD derived from industrial hemp is legal to produce and supply, despite being the exact same compound isolated from the cannabis plant. It is also illegal to market CBD oil as a dietary supplement. This is because cannabidiol is not a food ingredient (dietary ingredient) and it doesn’t have an established safety profile or history of use in the food supply. Because each state can make its own laws, some accept cannabis and CBD to be used recreationally and medically: Alaska, California, Colorado, Maine, Massachusetts, Nevada, Oregon, Vermont, and Washington, as well as the District of Columbia (Washington DC). Other states accept the medical use of CBD: Oklahoma, New Mexico, New Jersey, New Hampshire, Georgia, Delaware, Florida, and Connecticut. • Canada recently legalized cannabis on a recreational basis, meaning that CBD is easy to obtain there and is entirely legal for recreational and medicinal users to enjoy. This legislation is still getting processed, and only medical cannabis is legal until October 2018. • In Europe medical cannabis can be obtained in: Austria, Belgium, Germany, Greece, Denmark, Norway, Netherlands, Romania, Spain, Italy, Poland. • In Switzerland cannabis products containing less than 1% THC can be produced and sold. The country now allows growers to produce high-CBD strains, so long as they don’t exceed the mentioned THC values. • In Luxembourg cultivation is also legal, but only for strains that contain less than 0.3% THC. This means hemp and CBD products derived from it are tolerated. • In the UK CBD is legal and not considered a controlled substance. It can be freely distributed. However cannabis is illegal under the Misuse of Drugs Act 1971 and any CBD oil with THC values of over 0.2% is considered medical marijuana, and is illegal. On November 1, 2018, medical cannabis became available to patients in the UK on NHS prescription. The treatments can only be prescribed by specialist doctors where other medicines have failed – GPs are not allowed to prescribe it. • Australia allows the non-prescription use of CBD oil extracts. • In China both recreational and medical marijuana, as well as hemp, are illegal, yet prescription CBD products are allowed. • Cambodia has a strange situation. Legally it is prohibited to cultivate, sell, buy, use and merely possess marijuana. Howeverm the law is unenforced. Local residents and tourists can casually buy or even smoke marijuana in public. There is a public tolerance here and the country’s capital, Phnom Penh even has the reputation of being a global center for cannabis. You can find restaurants that sell marijuana and food items with cannabis as part of the ingredients! • In India is almost the same situation as in Cambodia. The law prohibits marijuana but the public tolerance for cannabis is culturally rooted in religion, particularly in relation to the Hindu festival of Holi. Traditionally, this festival requires cannabis-infused milk known as Bhang. As a result, many stores openly sell marijuana. • In Myanmar the law prohibits it but it is not enforced. • In Thailand CBD medicinal use is legalized. • In South Africa CBD oil is legal and can be bought from big retailers and online. Since 18 September 2018 the state overruled the prohibition of private possession, cultivation and consumption of the plant in your own home. • In Chile, Colombia, Peru the medical use of cannabis is legalized. • In Indonesia the law is very strict. On December 2, 2018, Pip Holmes, a British artist living in Bali, was arrested for allegedly smuggling cannabis oil into the country and now faces up to 15 years in prison. He was caught by Indonesian authorities with 3g of medicinal THC oil which he uses to treat his arthritis. Indonesian police said he received nearly 31g of cannabis oil in the mail and could face the death penalty if convicted. Despite Mr Holmes’ lawyers arguing he was a drug user – after he failed a drugs test – rather than a trafficker, he still faces the trafficking charge. Indonesia has strict drug laws and dozens of convicted smugglers are on death row. Be very careful when travelling there. A 352 pages book written by Leonard Leinow and Juliana Birnbaum, well researched, clearly written and easy to follow. The book is full of advice on how and why to use this medicine, based on the latest scientific research. The only downside of this book (according to the review of an Amazon customer) is that the digital version lacks some very important charts, which are available in the print version. But the book is cheaper on paperback ($16.92) than the kindle version ($17.84), so go for the old-fashion paper, if you want the detailed charts (though probably the book has been updated since). 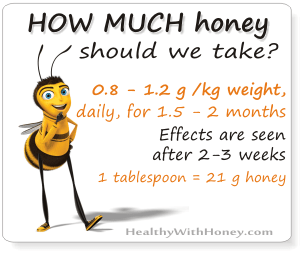 What about aloe vera benefits when combined with honey? Here are 13 recipes that may help. 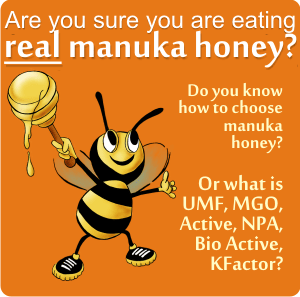 What is ulmo honey? 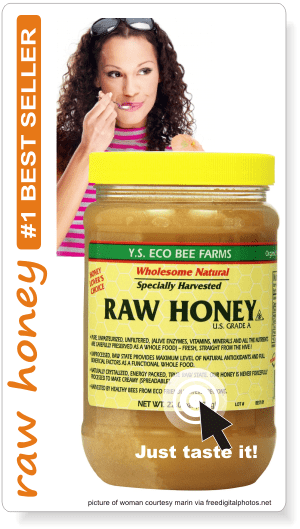 Is it better than manuka honey? 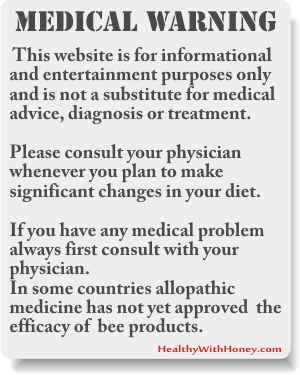 Alternative medicine is more accepted now a days due to its promising results. Unlike pharmaceutical medicine, alternative medicine doesn’t give negative effect such as kidney and liver problems when it comes to long term use. As for my alternative medicine usage, I use medical marijuana. Different strain has a variety of uses and effect depending on your needs.